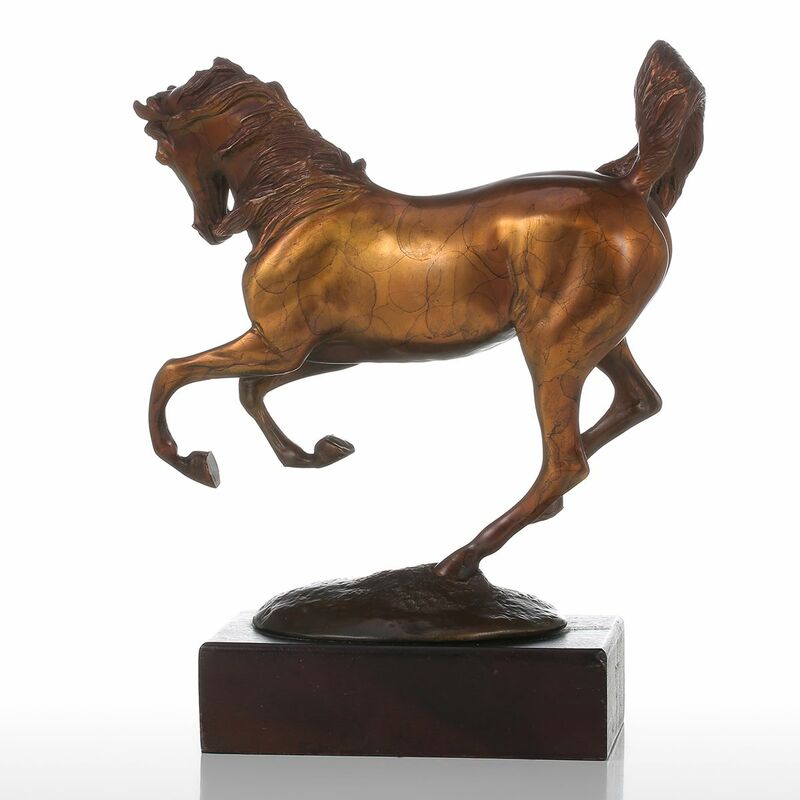 The horse is one of the most common cultural animals in the world. 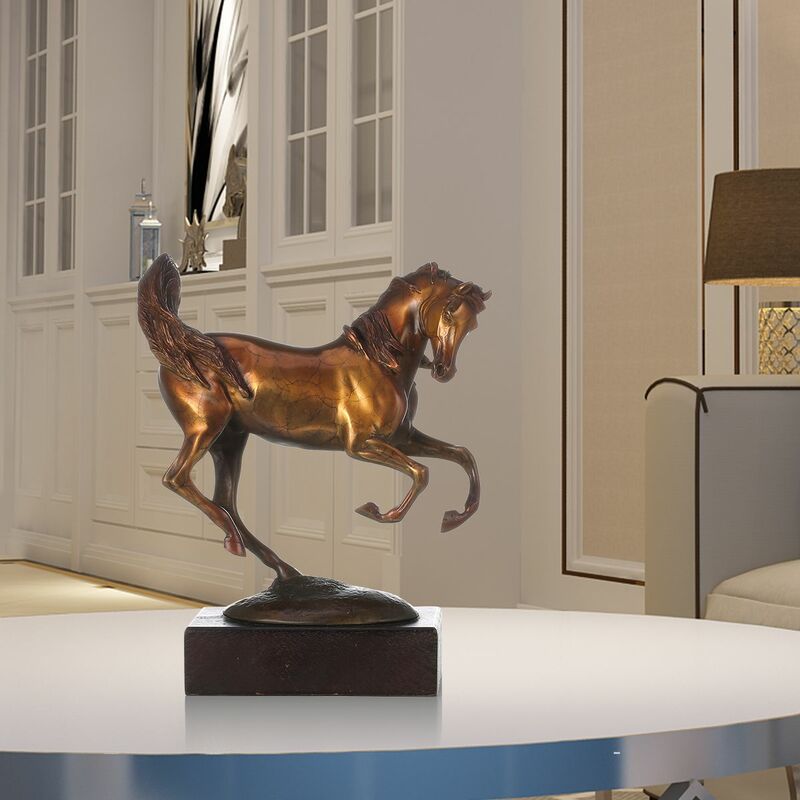 it is elegant, unrestrained, handsome, it is the symbol of strength, noble and freedom. 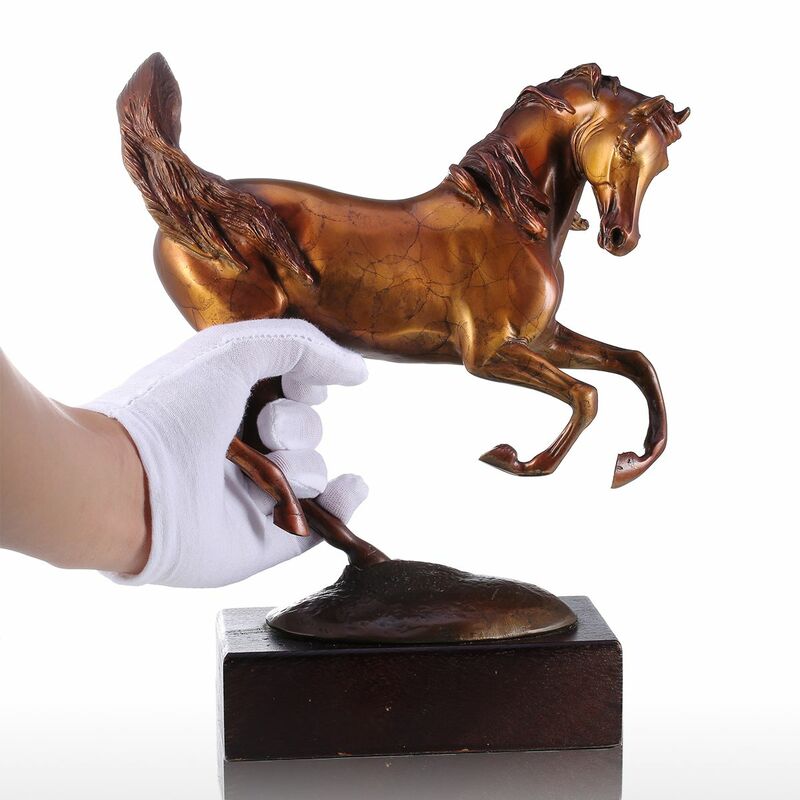 From the initial idea to the reality, this bronze horse sculpture experienced more than 60 processes design: sculpture, molding, casting, roasting, grinding, coloring, all of these processes are fully handmade by the professional craftsmen, extremely delicate and imaginative. 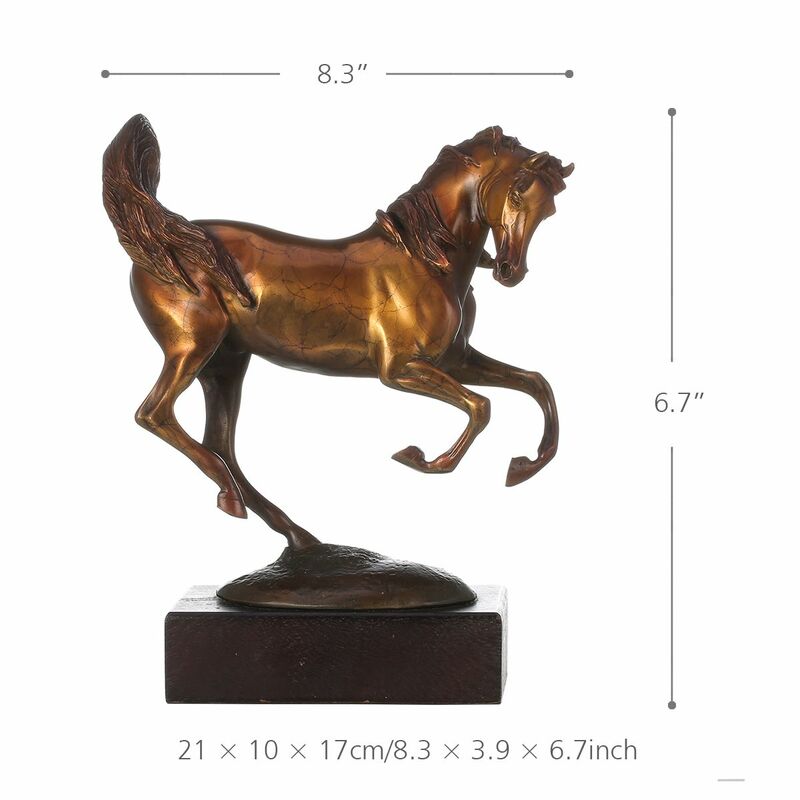 Sculpture surface is dealt with high-temperature coloring technology, which gives the sculpture complex and random patterns and makes each sculpture slightly different, everyone is unique. 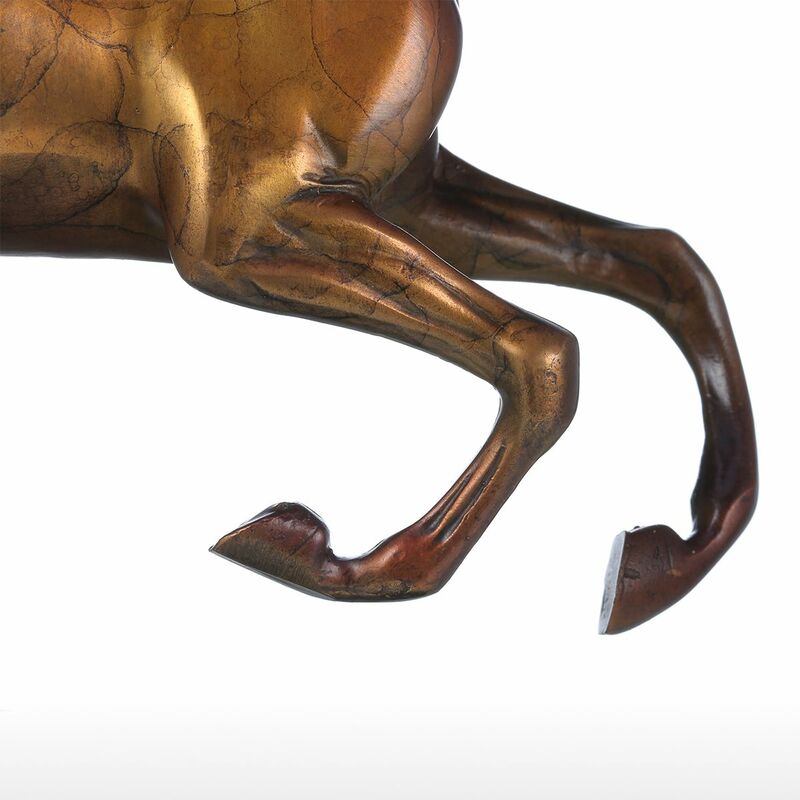 The surface is very smooth to touch and bronze material shines beautiful and unique under the light. 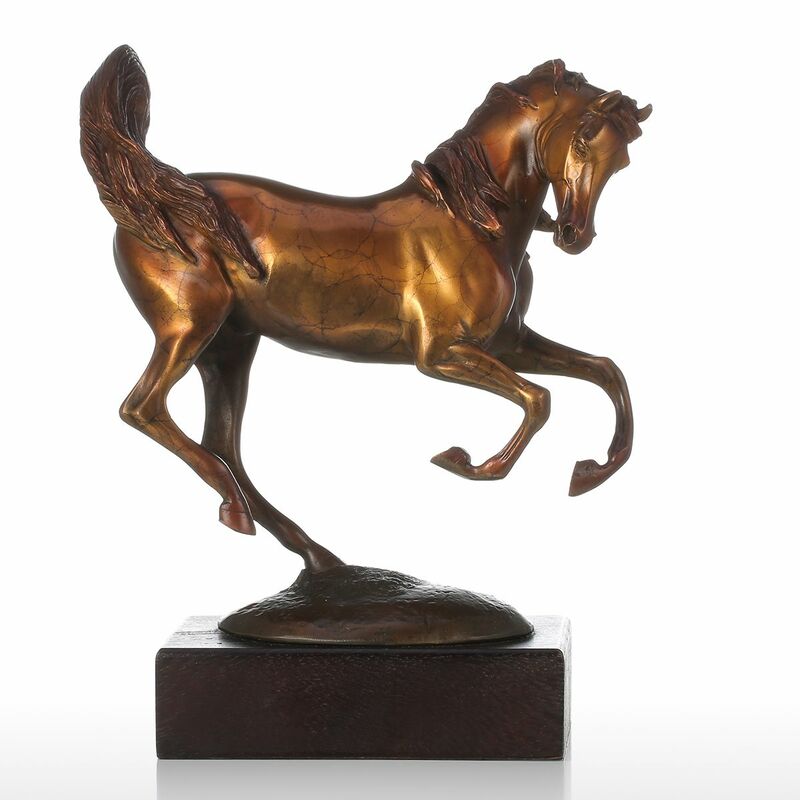 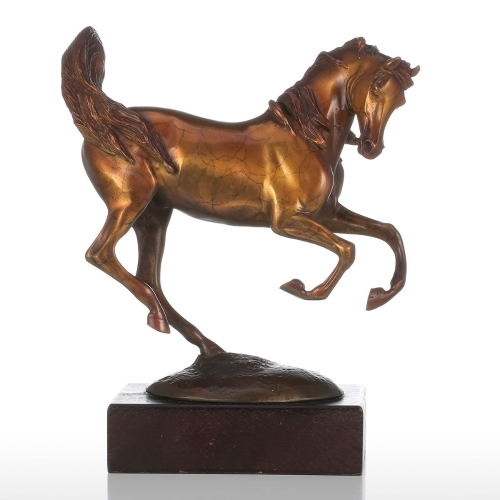 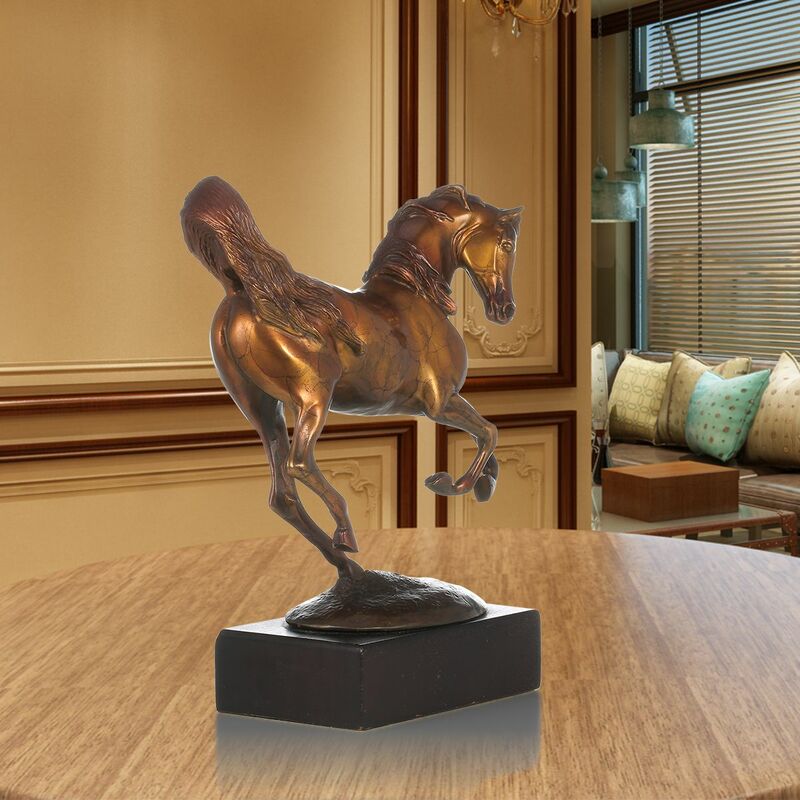 Whether it is placed in the home, office, living room study, or as a gift, the extraordinary momentum copper horse is your great choice!